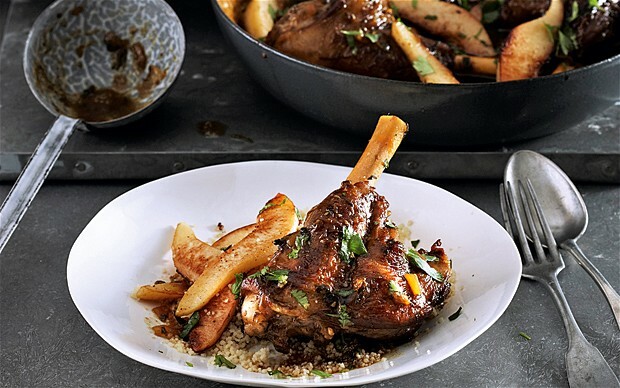 Heat the oil into a tagine and cook the lamb for 10 minutes. Add the onion, cinnamon, ginger, coriander and cayenne pepper. Stir for 2 minutes and add the quince paste. Pour the water and bring the mixture to a boil. Turn the heat to low and let is simmer for 1 hour. Throw in the sweet potato and cook for 20 minutes more. In another pan, fry the almond and garnish the tagine with the almonds and coriander.